The Extended 'U' bike storage racks provide simple, yet efficient bike storage for any environment. The clean design allows for the parallel parking of up to two bikes. The Extended 'U' bike racks conveniently supply two secure locking points for bike frame and wheel. Constructed from 1.9" or 2-3/8" O.D. 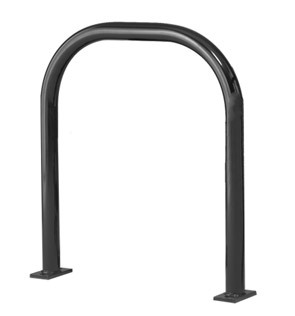 Steel Tubing, these bike storage racks stand at 34" high and are available in surface and in-ground mounts with optional grout covers. 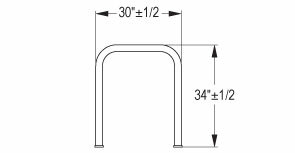 Drop In Anchors available for concrete installation. 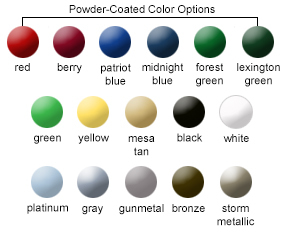 To find bike storage racks that best suit your needs, select from Galvanized, Powder-Coated steel, and Stainless Steel finish.